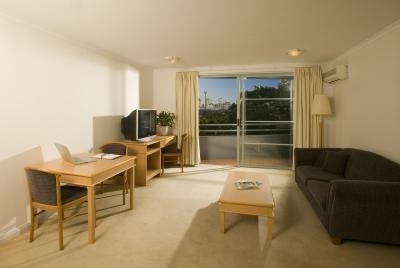 These 4 star studio and one-bedroom apartments in the heart of the CBD are just a 10 minute walk from all of the city’s major foreshore attractions including the iconic and world-beating Sydney New Year’s Eve Fireworks at the Harbour Bridge, Opera House and The Rocks. 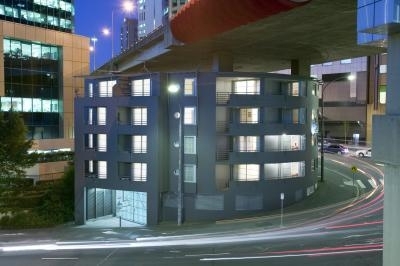 Guests here are even closer to the world-class dining, bars, cafes and nightclubs at Darling Harbour, Kings Street Wharf and Cockle Bay. Many New Year’s Eve Cocktail Cruises also depart just a few minutes away. A trip to Sydney is not complete without some retail therapy at any of the hundreds of high street and high end shops and boutiques just a short walk from your front door at QVB and Westfield. One bedroom apartments, many with private balconies and great views, can accommodate up to 4 guests (fees for extra guests apply). 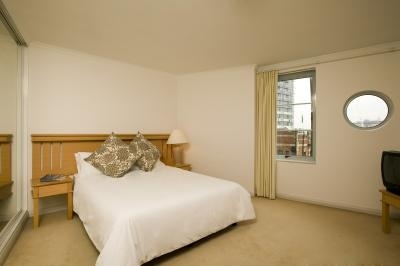 This makes them a great value choice as group or family accommodation in the heart of town this New Year’s Eve. One Queen Bed. Kitchenette and separate bathroom. One Queen Bed. 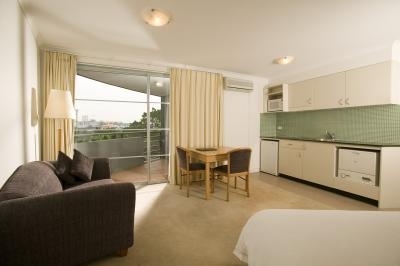 Spacious apartment with kitchenette and separate living and dining area. Most have balconies. Directions to parking: Limited Secure under-cover parking $35 per night. Please contact property directly to book car parking. Parking entry is accessed behind the hotel from Napoleon Street heading East. Bond: The hotel requires a $200 bond for all bookings to ensure against damage and breakage. This amount will be preauthorised against the credit card securing the booking and released soon after check out upon condition check of the room. If no credit card is available a $200 cash bond will be required.